Shortly after we started our blog, I wrote about homemade pancake mix so that you could have the ease of a mix, at a fraction of the cost. They are good, but I like sweet pancakes. And by "sweet," I mean really sweet. So I jumped online and found a copycat recipe for IHOP's pancakes. I don't eat at IHOP, so I don't know how they actually compare to IHOP's pancakes, but I do know that they are delicious...if you like sweet. For the most part, I left the recipe as is, but did make a couple slight changes. 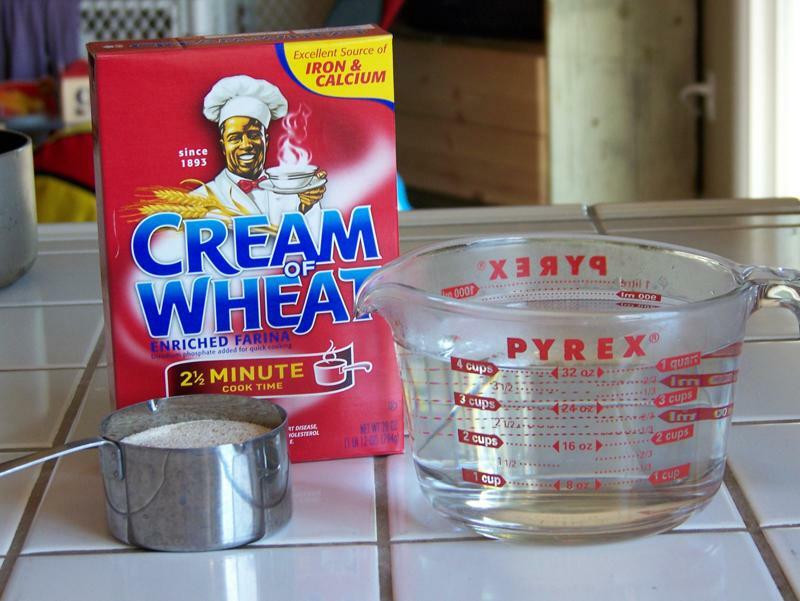 In a mixing bowl, combine flour, sugar, baking powder, baking soda, and salt. Add egg, buttermilk, canola oil, and vanilla. 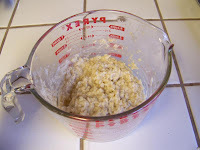 Mix until combined, but there are still a few small lumps (you don't want to overmix). 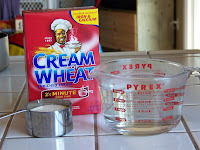 Instead of mixing the dry ingredients separately, and adding the wet, I often measure the buttermilk in a measuring cup/bowl big enough in which to mix the batter. I add the liquid ingredients first, then put the dry ingredients right in there. That way I only dirty one bowl! Dry ingredients added right into wet. Heat a nonstick skillet or griddle over medium heat and grease with a little oil. Pour or ladle desired amount of batter onto griddle or skillet and cook until the edges start to look done. Flip and cook about 45 seconds longer, or until second side is done and golden brown. 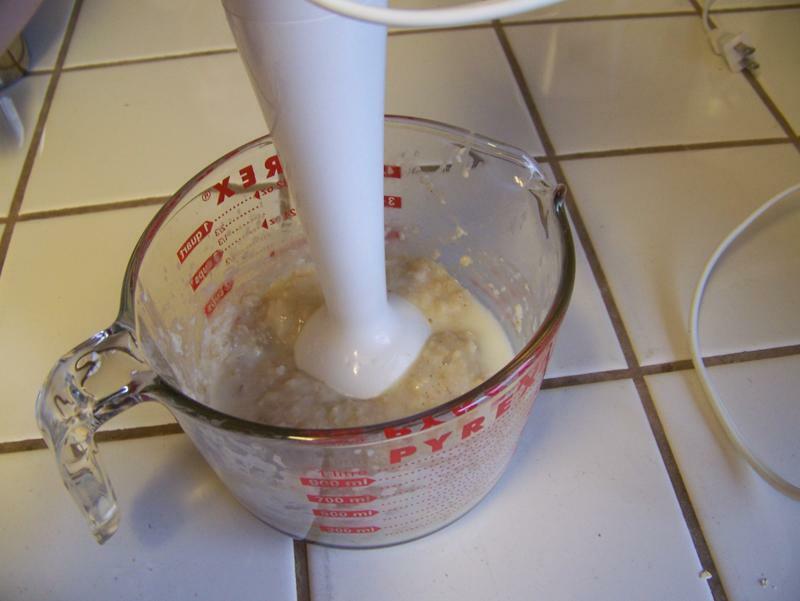 Another perk to mixing it in a measure cup/bowl is that you can easily pour the batter right into the pan. The edges look like this when it's time to flip. I make up a big batch and freeze the leftovers. These are good for any meal - breakfast, lunch, or dinner...or dessert topped with chocolate chips and whipped cream! Additionally, I never said these were healthy(! ), but they are inexpensive!! Furthermore, it just so happens that tomorrow is National Pancake Day and IHOP is serving free pancakes!! While they are free, IHOP asks that you consider leaving a charitable donation. You can get all of the scoop here! 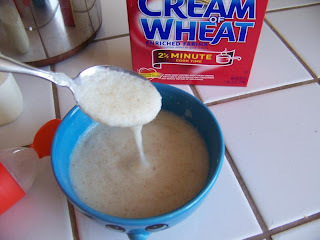 After our success with starting April on solid food with homemade rice cereal, I moved on to wheat cereal. She loved it!! 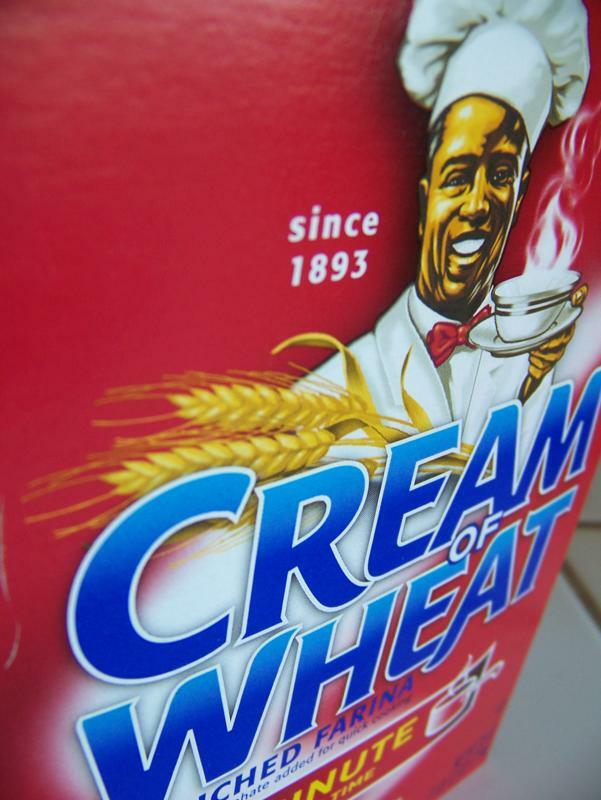 Unfortunately, WinCo doesn’t carry wheat cereal in the bulk bins, so I have to buy boxed Cream of Wheat. The box even has directions for making cream of wheat for infants and toddlers. I ignore these directions and simply follow the regular directions on the back, using water and omitting the salt. 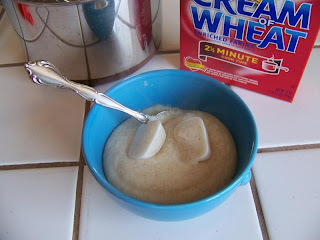 The key to making wheat cereal for babies just starting out on solid foods is to make sure there are no lumps (especially if you will be using a Boon spoon ). Be sure to whisk vigorously and constantly while slowly adding the wheat. if you're using a Boon spoon. While Cream of Wheat is milled fine enough that it doesn’t need to be puréed before feeding it to your baby, keep in mind that he/she may not like the texture. 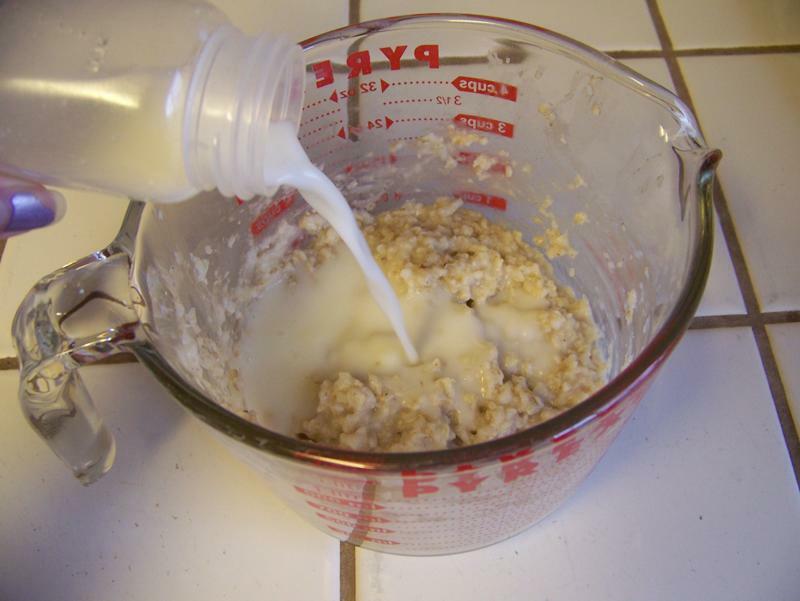 If your baby rejects the unpuréed cereal, try running it through the food processor to make it smoother. Bring water to boil. Gradually add Cream of Wheat, whisking constantly and vigorously until blended. Return to boil. 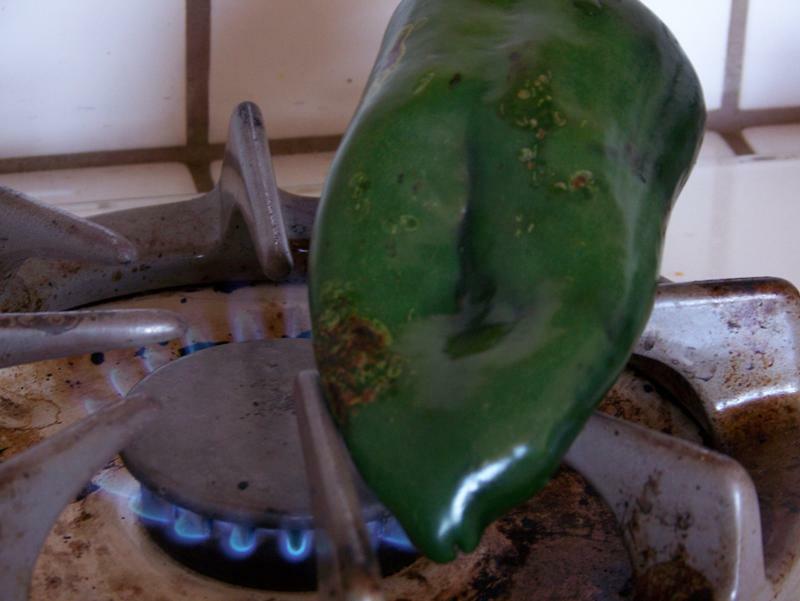 Reduce heat to low; simmer, uncovered, 2 ½ minutes or until thick, stirring frequently. 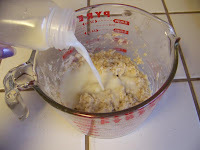 Add breast milk, formula, or water to achieve desired consistency. A few days after introducing the wheat cereal, we moved on to oatmeal. Once again, you do not need to buy special baby oatmeal. I simply use the same oatmeal I make for the rest of my family. 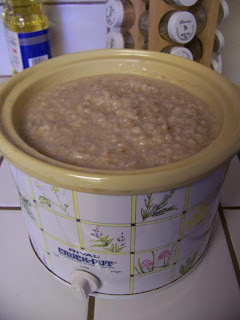 This is usually steel-cut oats. 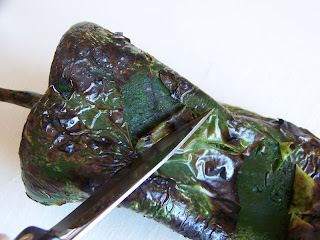 You can find my slow cooker method here. 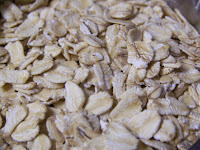 If I do not have any steel-cut oats made, I sometimes cook rolled oats in the microwave. Regardless of what type of oats you use to make your oatmeal, you can make it baby-friendly. Simply stick it in the food processor with some liquid. 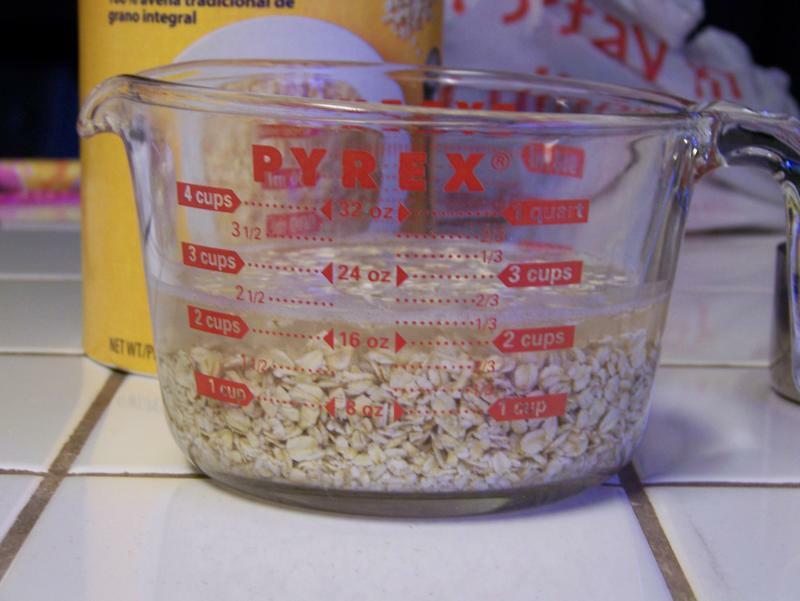 Place water and oats in microwave-safe dish. 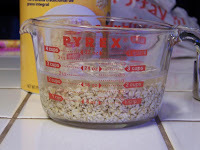 Microwave about 3 minutes, or until oats have absorbed water. 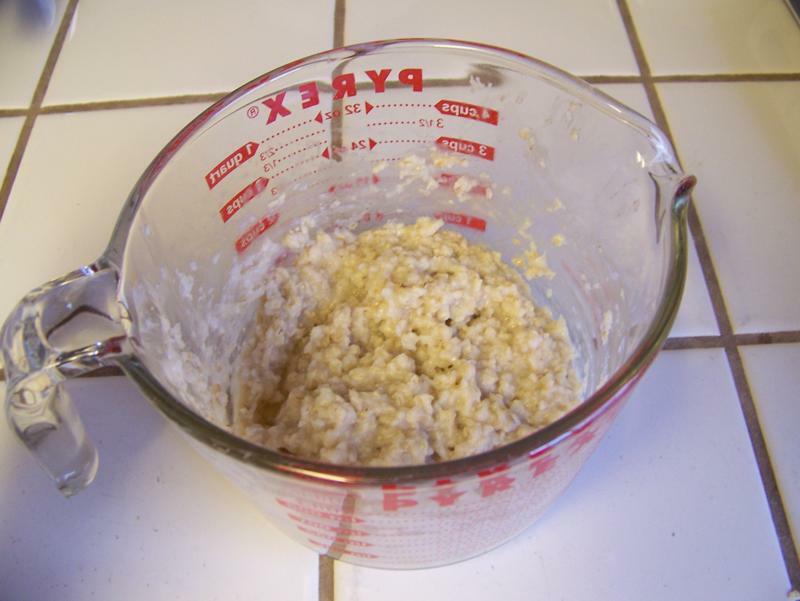 Purée in food processor with liquid to desired consistency. Regardless of what type of baby food I’m making, I like to make a lot at one time. This minimizes overall preparation time and ensures that I always have some on hand when April is hungry. April can hardly wait for her next bite of oatmeal! 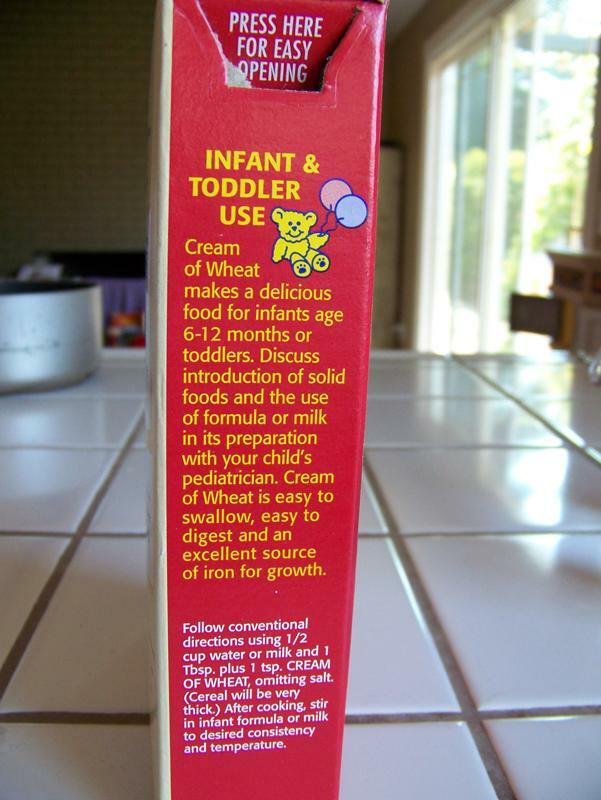 Homemade baby cereals will keep good in the fridge for up to a week if made with water. If breast milk has been added, follow current storage time recommendations. 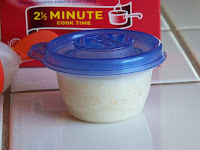 As of the time that I am writing this, it is recommended that breast milk only be refrigerated for up to three days and frozen for one month in a freezer attached to a fridge or three to six months in a deep freezer. These recommendations are always changing and I usually store milk longer than that. Once I’ve packaged up the cereal I want to keep in the refrigerator for the next few days, I freeze the rest. Be sure to freeze it in portions that will be used within the recommended storage period. One convenient way to do this is to freeze it in ice cube trays. I simply scoop it in one-tablespoon portions. Once it is frozen solid, I store them in a zip-top bag. 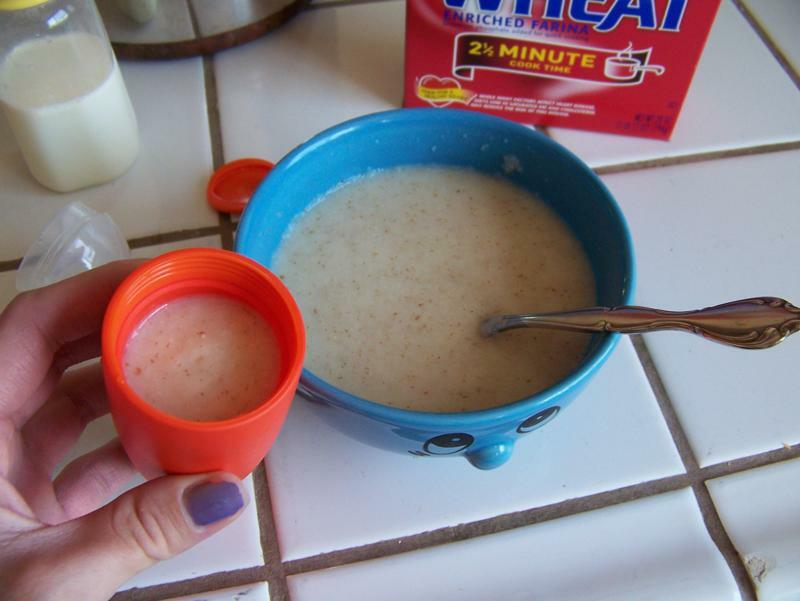 Simple pull out the desired number of cereal cubes and microwave until warm, but not hot. I also use these to cool freshly made cereal (breast milk ice cubes work too). 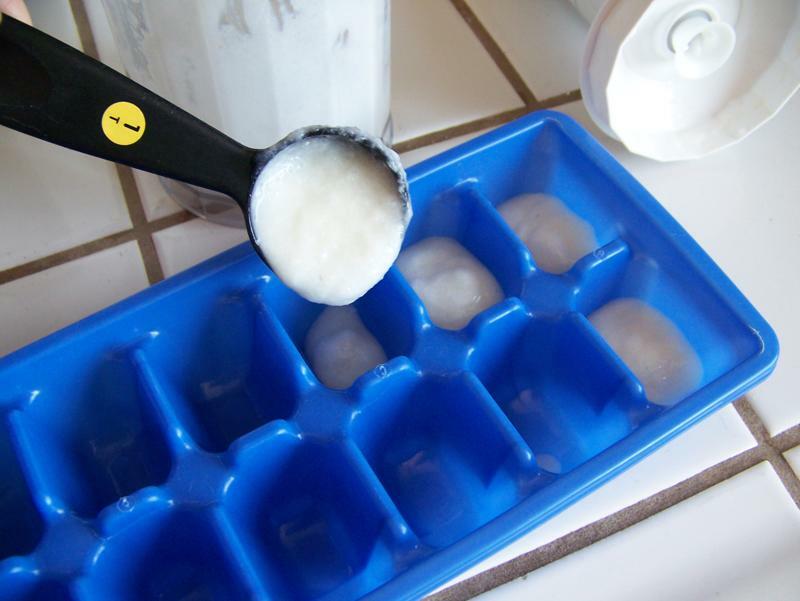 This ice cube tray method is great when you want to mix small portions of different foods. I use cereal cubes to cool fresh batches. 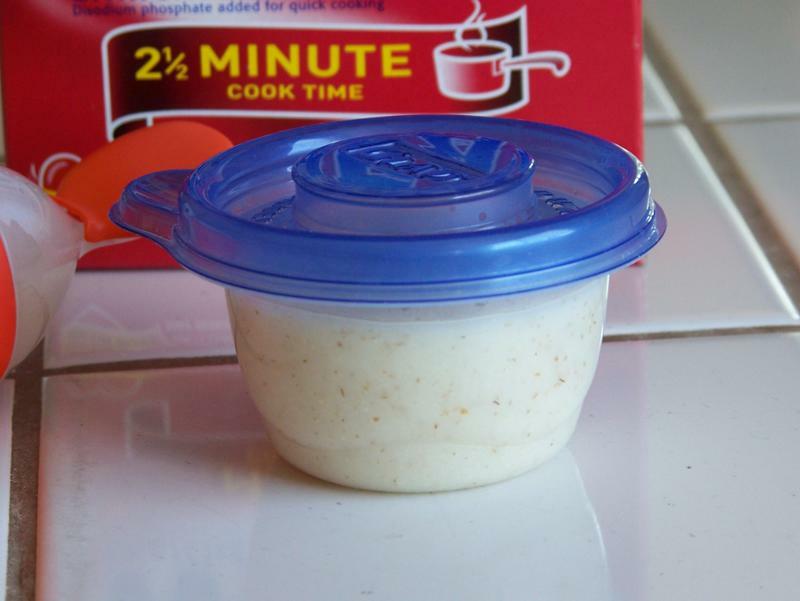 I have also found it convenient to freeze baby food in half-cup portions. 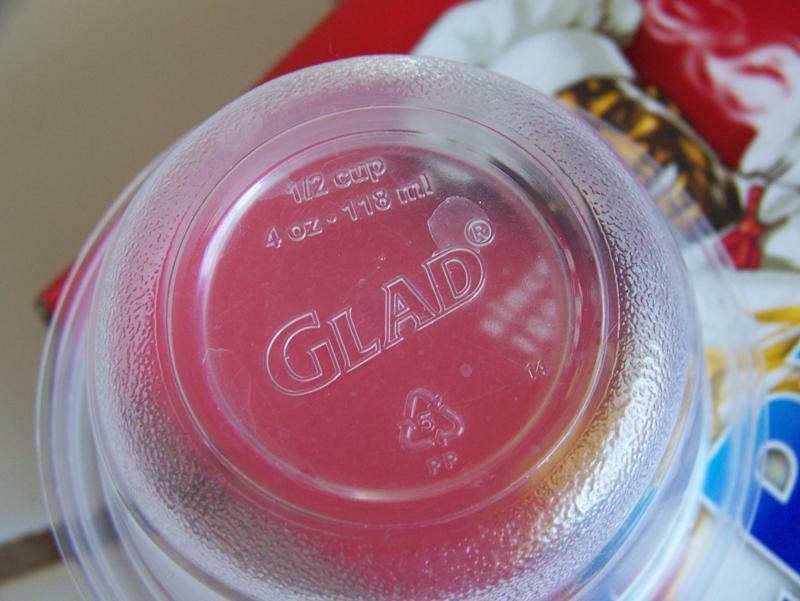 I like the Glad round half-cup containers . These are the same ones I use in Keanna’s lunch box. Most official documents you read will tell you to never microwave a bottle or baby food. The reason for this is that the physics behind microwave cooking causes hot spots which can burn baby’s mouth. Just use common sense and caution. April doesn’t get bottles, so that’s not an issue in our house, but I do use the microwave to heat and thaw her food. Just be sure to thoroughly mix any food that has been heated in the microwave to do away with any hot spots then check the temperature. Because our fingers take so much abuse, they are not the best judge of true temperature. It is better to check baby food temperature on your wrist, lip, or tongue. 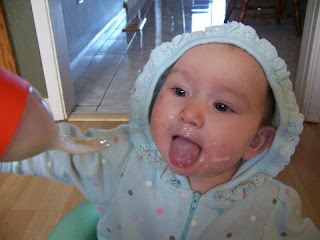 Be sure to check back next weekend when I talk about feeding April grits. And we may be starting veggies this week! My husband is a very meat-and-potatoes type of guy, so pot roast is right up his alley! I tried many pot roast recipes (most ending in disappointment) before scrapping recipes and just throwing things together. After trying different things, this is what I do now. Coat both sides of roast with salt, pepper, and garlic powder. Sear both sides of roast in a very hot skillet. Place roast in slow cooker. Deglaze your skillet by placing about 1/4 cup water in hot skillet. Scrape the yummy bits the roast left behind; then pour into slow cooker. Add additional cup of water to slow cooker, along with half of the onion soup packet. Cover roast with desired amount of carrots and potatoes. Cook on low 6-8 hours or high 3-4 hours (or until meat is tender). Be careful not to overcook your roast, as that will lead to dry meat. To make gravy, take 2 cups liquid from the slow cooker (if you have more liquid and want more gravy, use it and adjust recipe accordingly). In a saucepan, melt butter; add flour and mix. Cook over medium heat approximately 2 minutes. Add juice from slow cooker and whisk until gravy has thickened. Add onion soup mix and garlic powder, salt, and pepper to taste. If additional beef flavor is necessary, add beef bouillon to taste. Serve immediately. 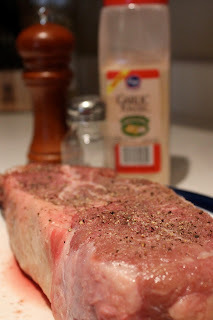 *Note: I like my gravy a little on the thick side, which is why I use 3 Tbsp butter and flour per 2 cups of liquid. Typically it's 1 Tbsp butter/flour per 1 cup liquid, so if you don't like thick gravy, cut back on the butter and flour by 1 Tbsp each. 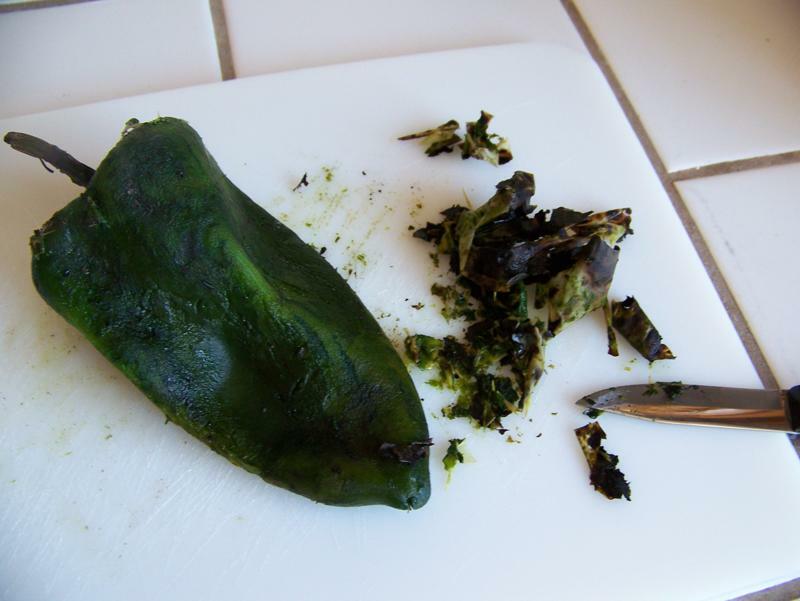 Last month I posted a recipe for enchilada casserole and mentioned that I don’t regularly buy diced green chiles because they are out of my spending parameters. 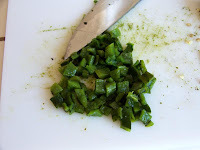 I now no longer have to omit the chiles because of price—I started making my own! Trying to buy peppers at the grocery store may cause some confusion. What is often labeled as pasilla chiles are actually poblano chiles. 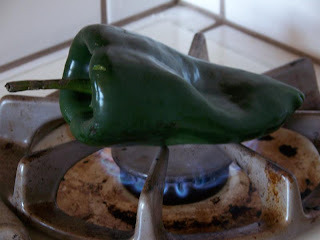 This mild pepper is what I used, though other varieties would work too. I found mine at WinCo for $0.98 per pound. I hope to grow some in my garden this year. For more heat, try Serrano chiles. Most of the heat of a pepper is located in its seed and the inner membrane. 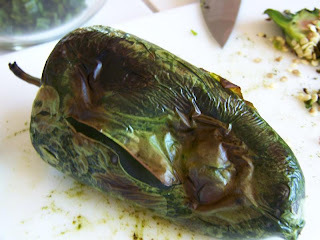 When using hot chiles, you can decrease the heat by removing the seeds and this membrane. 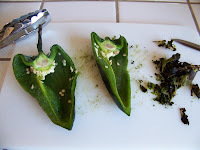 For more heat, leave the membranes intact and use the seeds. There are multiple ways to roast chiles. I will discuss two here. Regardless of how you prepare your chiles, it is advised that you wear gloves when handling spicy varieties. Place chiles directly over flames of gas burner on high. 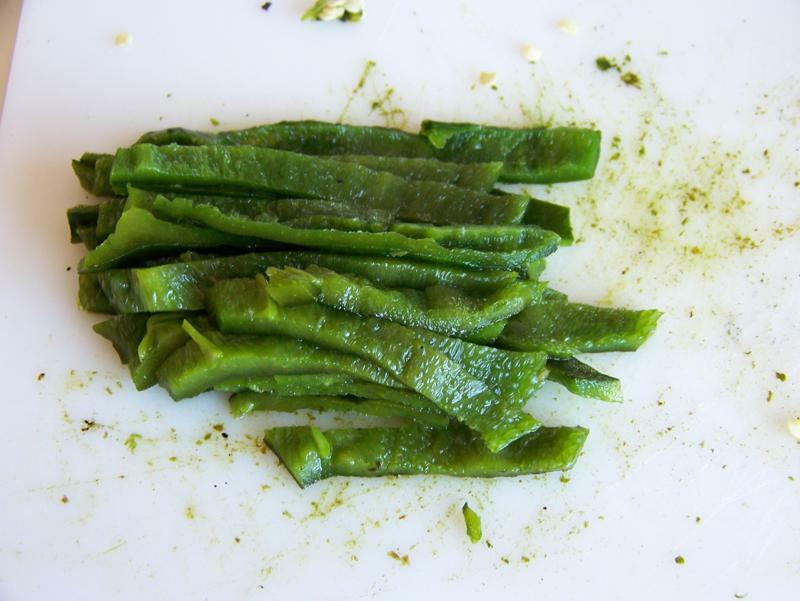 Rotate with tongs as skin blisters and chars, for even roasting. Remove from heat and let cool slightly. Scrape a knife over skin to peel. Slice pepper down middle. Remove stem. Scrape seeds and membrane, if desired. Slice chile into strips then dice. 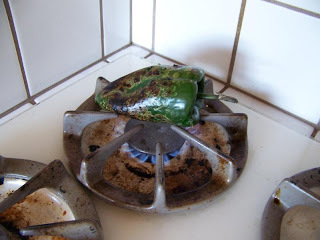 This stove-top method works great, but if you want to roast a lot of chiles at once, you’ll probably want to broil them. 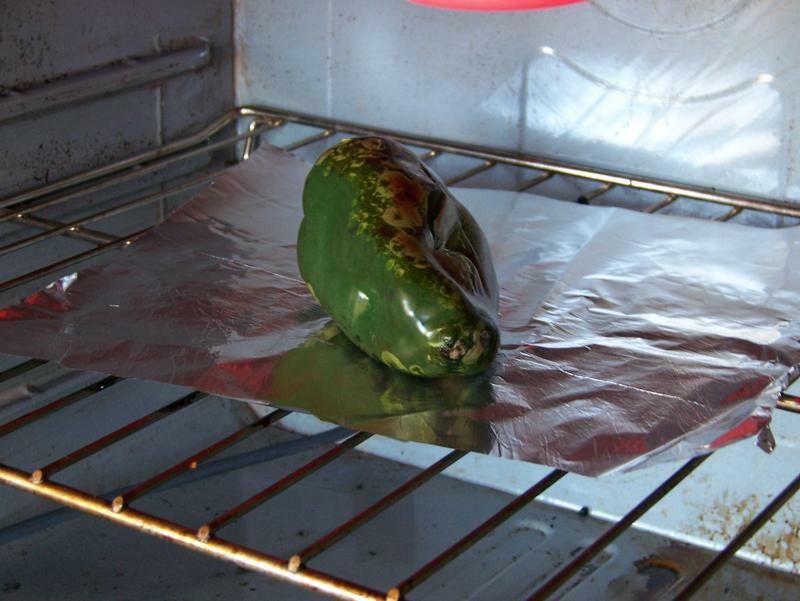 You can do this on a foil-lined pan, but I prefer to just put the foil straight on the rack. This has two advantages: one less dish to clean and more even roasting. 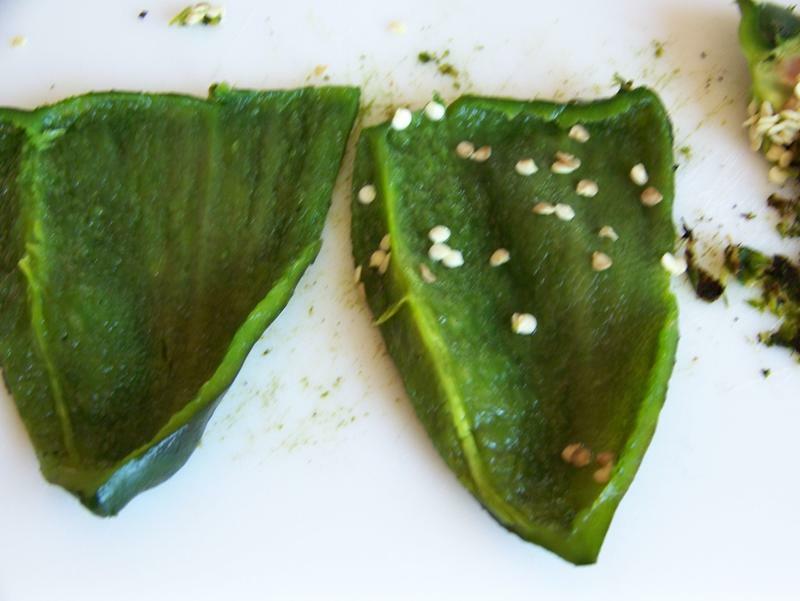 Many times chiles have a triangular cross section. This means they will roll to the flat sides, making it harder to roast them. 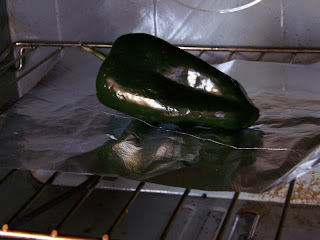 With the foil directly on the oven rack, I can nestle one of the ridges of the peppers into a gap in the rack, exposing the opposite flat side to the heating element. Does that make sense? Cover oven rack with foil and place chiles on foil. Adjust rack so tops of chiles are at least six inches away from the heat. Broil, turning occasionally, until evenly and completely roasted. Remove from oven and continue with steps above. 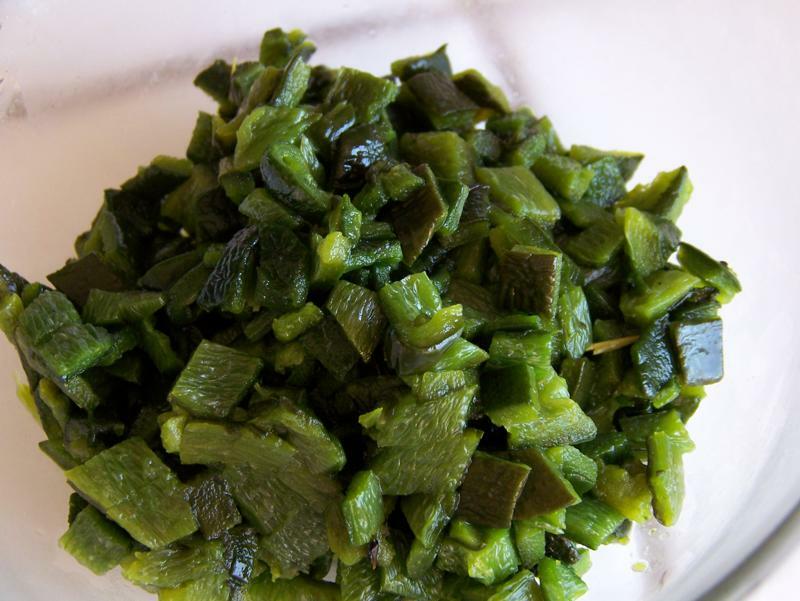 six ounces of diced chiles. You can make a lot at a time and freeze them in usable portions. Not only do I use chiles in enchilada casserole, but also in taco soup. Check back in the near future for that recipe! A Great Way to Use Left-overs - Omelets! Where Did Today's Post Go? The Best Noodles I've Ever Eaten!